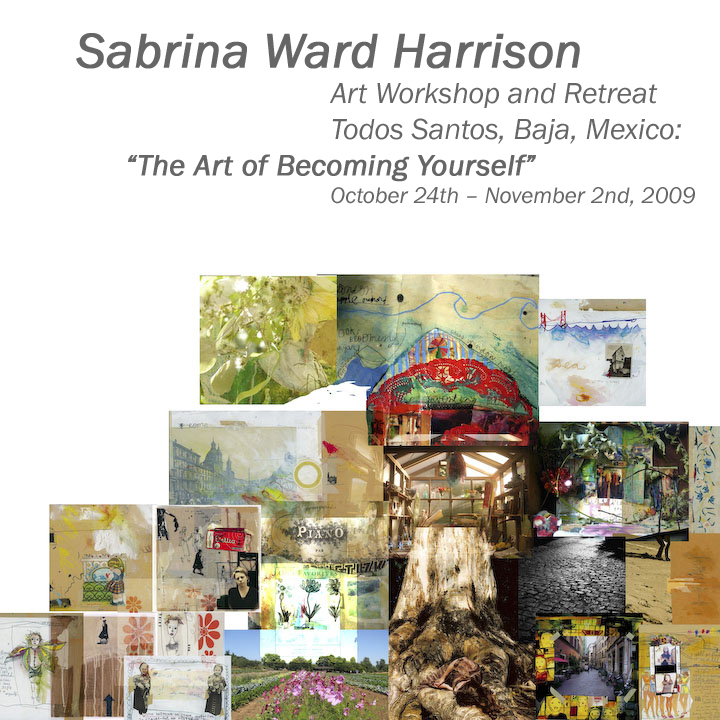 This is a rare opportunity to spend 10 days in the artist community of Todos Santos on the Mexican Baja with journal-artist Sabrina Ward Harrison. This road trip combines glamping, great meals and collaborative art projects. Limited to 10 participants, the camp will take place at El Pescadaro Beach House from October 24 to November 2, 2009. Angela Ritchie’s Ace Camps create soul-reviving adventures for the timid, the brave and the break-out risk-taker. The fee of $1450 USD includes round trip ground transportation from San Jose Del Cabo to El Pescadaro beach House and throughout the Southern Baja; 9 night’s accommodation in cabin tents (based on double occupancy); all meals including beverages for eight days; yoga sessions, art supplies and creative workshops with Sabrina Ward Harrison. “I have all 4 of Sabrina’s amazing books and love every square inch of them – I never lend them out as they would never come back” – Patti Mangan, Co-Founder Tango Diva and Creative Director/Principal of Imagine That Design Studio, San Francisco.